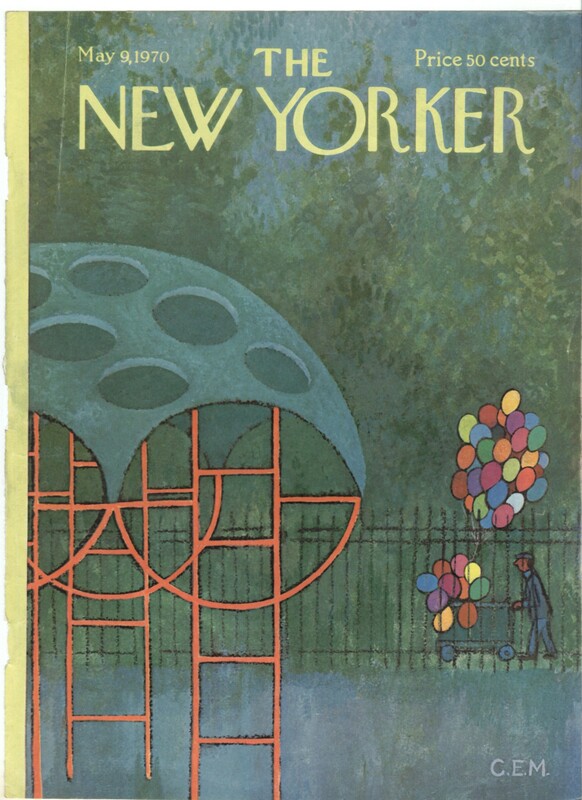 The picture shows the cover of the May 9, 1970, New Yorker Magazine, by the artist Charles E. Martin. For sale is the MAGAZINE COVER ONLY. This is NOT a complete magazine. The cover has been detached from the magazine. The cover has not been trimmed, and the left edge of the cover is still rough as you can see in the scanned image. WE ARE NOT PROFESSIONAL APPRAISERS, but in our opinion, the condition of this cover is VG (overall very good, but with the following defect(s): creases). You may use different criteria. Please judge for yourself by carefully examining this high resolution scan.